Branch of the Danube River known as Moson Danube creates a so called “Little Wheat Island”, similarly to Slovak’s Little Danube creating what is called a “Big Wheat Island”. Complex of river branches creates a water way similar to inland delta of some big rivers. 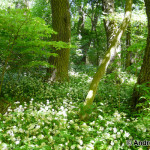 It is a land of wetland ecosystems and alluvial forests, which is the best to know directly from water surface. 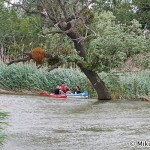 Rafting of canoe trip is an ideal way to show a diversity of plants and animals living here. Water birds, observed from water level using a raft or boat are less shy. Species such as Common Kingfisher (Alcedo atthis) or Common Sandpiper (Actitis hypoleucos) will be our constant companions throughout the whole trip. 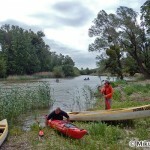 Moson branch of the Danube River offers an ideal canoeing opportunity, thanks to its crystal clear and swift water in narrower parts combined with slower flow of its broader parts. 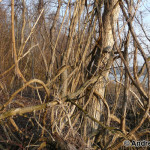 The river is rich with many interesting water plants either directly on the water surface, or on Danube’s banks. 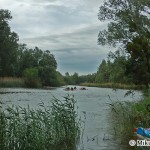 Program: departure from Bratislava at 7:30AM, transfer to the starting spot of canoe trip, initial canoeing instructions. 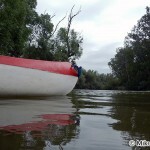 Canoe trip ends near Hungarian village Halászi, with our own transfer back to Bratislava. Important notices and conditions of canoe trip: We do not recommend children under 10 years of age to participate on this program. We also do not recommend participants to be accompanied by dogs. Participants should bring their own food, sunscreen, drinking water, head cover, mosquito repellent and light footwear. ID cards, money and mobile phones are good to be stored in waterproof pouches. Life vests will be provided to all participants. We strongly recommend all participants to wear them throughout entire water trip. Difficulty: thanks to its distance, this route is of average difficulty, with changing of faster and slower flows with variable river width. Tour operator has right to postpone or cancellation of trip in case of bad weather conditions or in case of significantly elevated high water level. The deadline for registration and payment is extended till June 6, 2018. Please send the application forms to info@watching.sk, in case of any questions, you may call us at +421 948 495 111. Trip report from our canoe trips in 2015 can be found here.